‘Consumers use enough single-use food pouches to cover the UK twice over every single day,’ says Enval. The recycling firm has joined forces with a pet food producer to push the recycling of its laminated pouches. Every year, no fewer than 10 billion pouches made of aluminium and plastic are sold in the pet food, baby food and drinks sectors but Enval says only 20 000 of these are currently recycled. The recycler points out that this ‘shocking’ recycling rate of pouches is 50 times worse than that of the single-use coffee cups. A dedicated recycling scheme called ‘Purr-Cycle’ – set up with producer Purr & Miaow – is hoped to change this. The company says a typical cat owner in the UK purchases 1 000 pouches a year. Consumers can now recycle up to 250 pouches by ordering 10 recycling bags online, which Purr & Miaow will send in pre-paid envelopes. Aluminium with a purity of 98% can then be recovered in solid form, clean and ready for reprocessing. Meanwhile, the plastic component degrades to form a mixture of hydrocarbons. This mixture is later cooled down and separated into gas and oil. The gas can be used to generate the electricity required to power the process while the condensed oils can be sold as fuel or feedstock for speciality chemicals. Research has shown that cat owners prefer laminated food pouches to any other format, reports Purr & Miaow. ‘But we know that they want to have the option to recycle them,’ says company founder Guy Blaskey who adds that the 10 recycling bags carries a fee of £10 (roughly 13 dollars). This translates to around five cents per pouch. Blaskey complains that many big pet food brands ‘mislead’ their consumers by placing a circular arrow on their packaging. In reality, this means the producer has made a financial contribution towards recovering packaging in Europe. 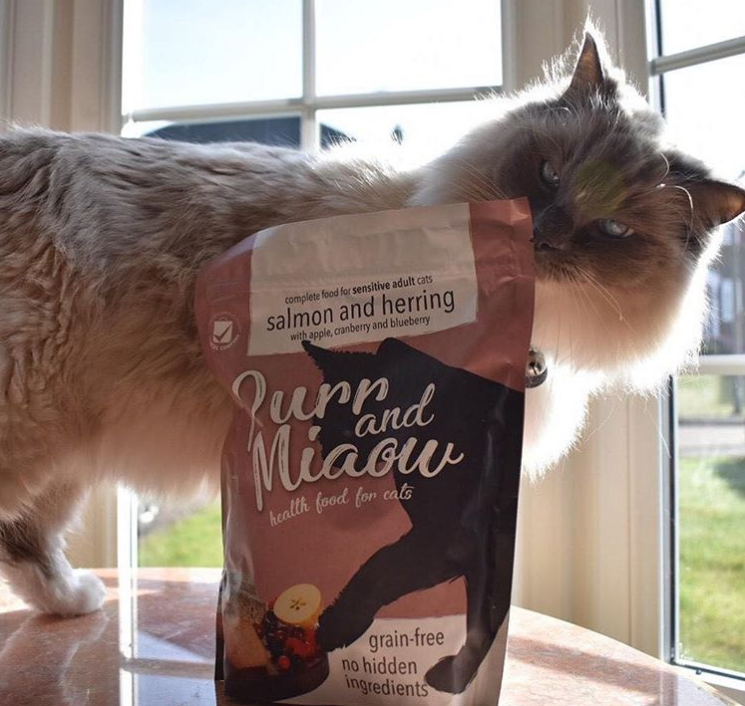 ‘But it does not mean that the product is recycled,’ he explains, pointing out that Purr & Miaow is the first pet food producer to be affiliated with ‘The Laminated League’, an initiative aiming to divert all aluminium-plastic pouches from landfill. There are a number of benefits to pouch-style packaging. Most notably, the lightweight pouches are 68% lighter, can be produced using 50% less energy while requiring 60% less plastic.